We are proud to have been selling and letting houses in the Spen Valley for over 35 years making us the longest established Estate Agent in Cleckheaton. We are a small local team with a big passion for property. Whitegates has a lettings and sales department designed to see to all your property needs. * Award winning service that brings customers back time after time and makes them recommend us to others. Why not try us and see for yourself - whether you are buying, selling or renting - let us find you your next home! Give us a call or pop into the office where our friendly staff will be happy to help you. If you want an estate agent in Cleckheaton to help you sell or buy a property, you've come to the right place! I have used Whitegates Cleckheaton's services as a landlord and as a property seller for my property on Clarence Street and have found their service excellent, with good communication, good local tradesmen to engage for work that needed doing so that my tenants are comfortable and happy, and expert advice on all property matters. I would recommend Whitegates to any new landlords. Michelle has been brilliant in handling the sale of our house in Cleckheaton. From getting buyers to view, achieving a good price, and working with our solicitors, Michelle kept it moving and kept me informed. I recommend Michelle and Whitegates and the other staff are lovely as well. This is the second time I have sold a house through Whitegates Cleckheaton. The first time I changed from another estate agent as I had no enquiries whatsoever in 9 weeks. Louise took one look at the property and took brilliant photos which showed all the special qualities. I immediately received bookings and the first viewer came back in 3 days and the sale was agreed. This was my first move in 30 years and Louise and Michelle made the whole process easy. Michelle and team had answers at the ready to any queries I made. Recently my father’s house had to be sold and my family turned to Whitegates Cleckheaton without hesitation. Once again Louise took excellent photos and prepared a detailed description after advising us of the best plan for marketing an unusual property which involved some land. The sale was handled with the utmost discretion as we were concerned about the empty house, but we were overwhelmed with the number of viewers in the first week, with several very good offers. We were kept fully informed throughout, so that when the sale was agreed we knew that we were in safe hands, but we never believed this could have been such a trouble free experience. I would highly recommend Whitegates Cleckheaton for their knowledge of the area and their expertise, enthusiasm and above all, friendliness. Thank you Louise and Michelle and team! Louise has worked in estate agency for over 25 years. She loves houses and so this really is a dream job! As a partner she has overall responsibility for lettings and sales and it's almost 16 years since she took over the Cleckheaton franchise. During that time she has built up a loyal customer base with a high proportion of personal recommendations. Louise lives locally and knows the area very well. In her spare time she enjoys interior design, dog walking and cake making. Stephen has worked as an Estate Agent valuing property for over 20 years and is passionate about his work. He loves houses and people and has recently become a partner in the franchise giving him the opportunity to learn other aspects of the business. Outside of work he is a bit of a 'petrol head' and loves cars almost as much as houses. He is an animal lover and enjoys going to the gym although when not in Whitegates he can often be found in Greggs! Michelle has now worked for Whitegates for over 10 years and enjoys her job in particular because no two days are ever the same and work is never dull! She takes great pleasure in negotiating offers, helping people through the often complex process of buying/selling homes and likes nothing better than to hand over the keys to a new buyer. Michelle lives locally and knows the area very well. She is always there to help the team and in her spare time she enjoys socialising, spending time with her family and walking her dog Eddie. Julie works as a part time Sales Negotiator and has worked for Whitegates for four years. She is responsible for arranging viewings, providing feedback, agreeing sales and keeping in regular contact with house sellers. Julie lives locally and is married with three children. She enjoys spending her days off with her family and in her spare times also likes gardening and going to the gym. Amanda has worked for Whitegates for almost 5 years in the busy lettings department and is in contact with landlords and tenants on a daily basis. She enjoys her job as it is particularly varied and time certainly flies when you're having fun! Outside of work she enjoys spending time with her family especially her baby grandson and also likes cooking and dog walking. Sarah is the newest member of the sales team and has now worked for Whitegates for 3 years. She works part time on Saturdays and provides extra cover when staff are on holiday. Sarah meets and greets customer who call into the showroom and also carries out admin work. In her spare time Sarah enjoys spending quality time with her family and friends and since she is quite creative she enjoys crafts, especially card making and sewing. 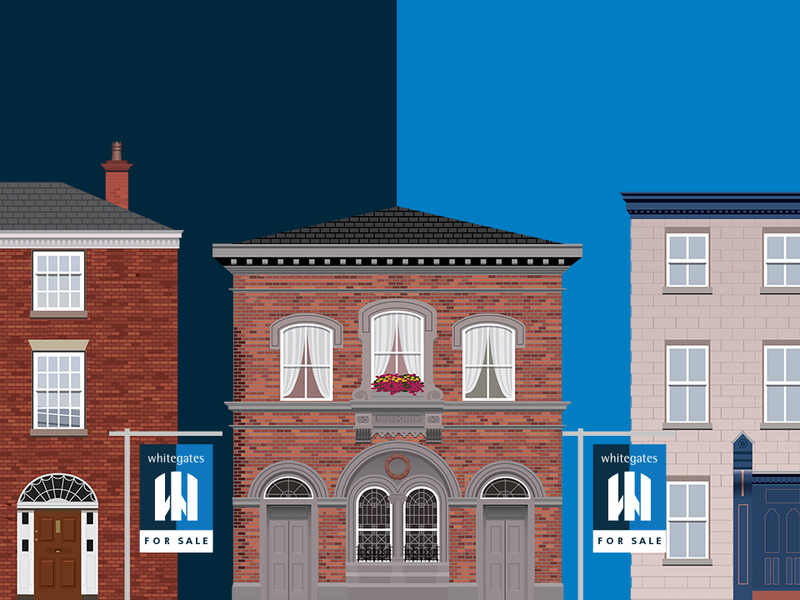 Copyright © 2019 Steplo LLP t/a Whitegates Estate Agency.